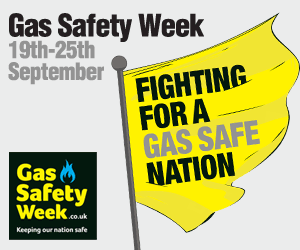 M&N Heating & Plumbing is proud to be supporting Gas Safety Week 2016, taking place 19th - 25th September. M&N Heating & Plumbing, and its relevant staff, are on the Gas Safe Register. Check your gas appliances every year. Gas appliances should be safety checked once a year and serviced regularly by a Gas Safe registered engineer. Tenants - make sure your landlord arranges this. Set a reminder so you don't forget at www.StayGasSafe.co.uk. Check your engineer's Gas Safe Register ID card. Make sure they are qualified for the work you need doing. Check for warning signs your appliances aren't working correctly - for example, lazy yellow or orange flames instead of crisp blue ones, black marks on or around the appliance and too much condensation in the room. Know the six signs of carbon monoxide poisoning - headaches, dizziness, breathlessness, nausea, collapse and loss of consciousness. All appliances and flues provided for tenants use have an annual safety check.